There is no “He said, she said” anymore when it comes to investigating school bus behavior incidents in the New Richmond Exempted Village School District. “Last year, we heard from parents regarding their concern about bus bullying,” said New Richmond Supt. Adam Bird. “In response, cameras have been installed on every bus so that student behavior can be better monitored." 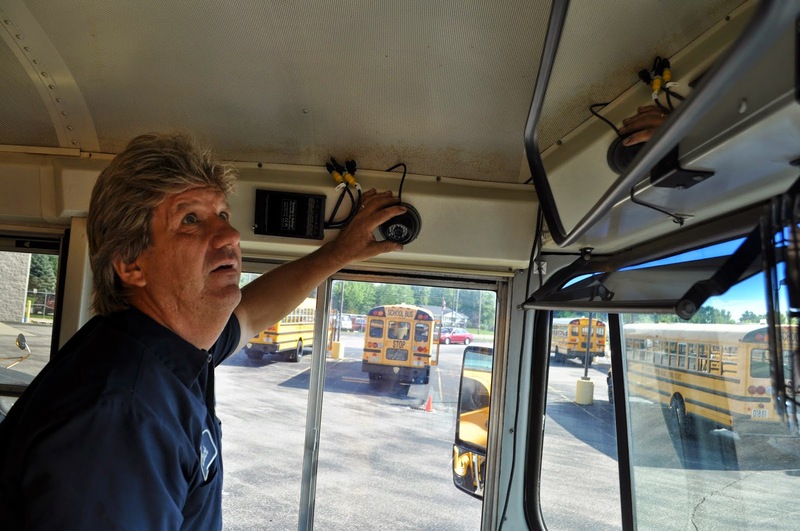 New Richmond schools chief mechanic Chuck Vogel aligns cameras that have been installed on all NREVSD school buses to monitor student behavior and other safety issues. Every New Richmond school bus has a minimum of two cameras recording video and audio. One is installed above the driver’s seat window and focus on the driver and the bus door. A second camera is above the windshield and focused down the aisle. “We have installed a third camera on selected bus serving routes where there have been issues,” added Bird. Video and audio is stored on a SD card which can be reviewed on a computer and burned onto a DVD for use in disciplinary hearings by district administrators. The pair of bus cameras cost $1000 and were installed by district mechanics. 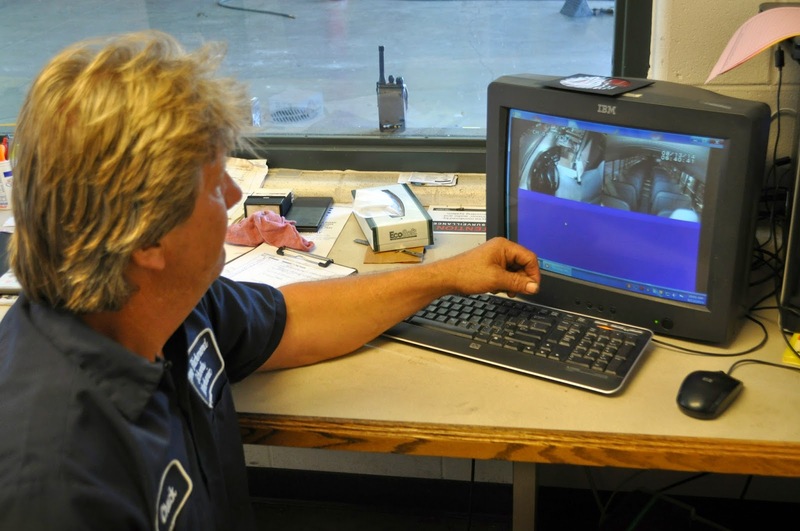 New Richmond schools chief mechanic Chuck Vogel reviews video from a pair of cameras installed on all New Richmond school buses to monitor student behavior and other safety issues. Students have taken notice of the cameras and adjusted their behavior accordingly. “I have noticed a decrease in the number of bus referrals compared to the past few years,” said NREVSD transportation director Wayne Prescott. Some bus drivers had privacy concerns at first since they would be on camera (which operate anytime the bus engine is running) even when they weren’t on the road. The tradeoff of having an extra set of eyes on their students quickly overcame any privacy concerns. “I have spoken with several drivers regarding the new cameras, and have had positive feedback,” said Prescott. “Drivers like having an extra set of eyes on their students and they like being able to have the video checked when students tell them that something happen on the bus that they didn’t see or hear."